Pairing socks…Now that takes endurance at my house! But seriously, isn’t it funny, how sometimes the little stuff of life like pairing socks can be the things we put off? It’s not an overwhelming job when it’s kept in check, but oh brother, you should see what happens in my home when the laundry gets away from us. 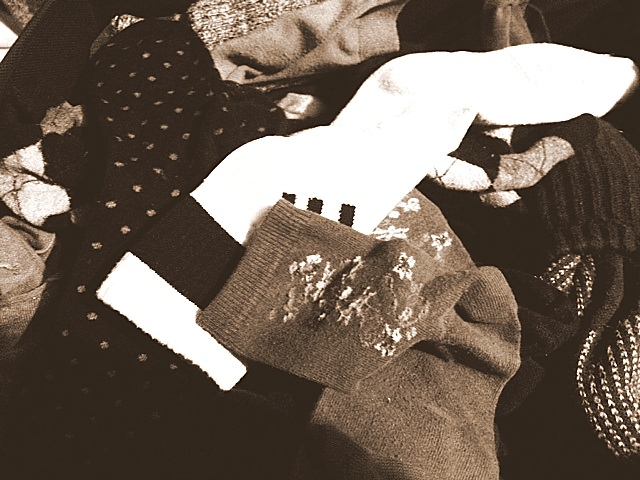 Pairing socks with one load of laundry is pretty simple and do-able. But when the laundry piles up and isn’t sorted right away, a simple job becomes overwhelming. With lots of people in our home wearing all sorts of styles and colors of socks, it can be a challenge for sure. Mix and match these piles and piles of socks, and a simple job gets to be a huge task. Trust me, I know. And when it gets away from me, it feels incredibly overwhelming. A simple task becomes a huge undertaking when a week’s worth of socks have added up to a huge pile which grows exponentially. So here’s the thing. Keeping things in check is key in life. With socks. With laundry. With checkbooks. With relationships. Specifically with forgiveness. Like dirty laundry that piles up in a short period of time, offensive acts can add up quickly, if not paired with forgiveness. One act that’s forgiven quickly is like a pair of socks that is matched up and put in the drawer right away. Done, Paired, Matched. Over. Clean and ready for use. But if we don’t quickly pair offenses with forgiveness, the “sorting through” becomes a complicated venture of wading through a big mess. 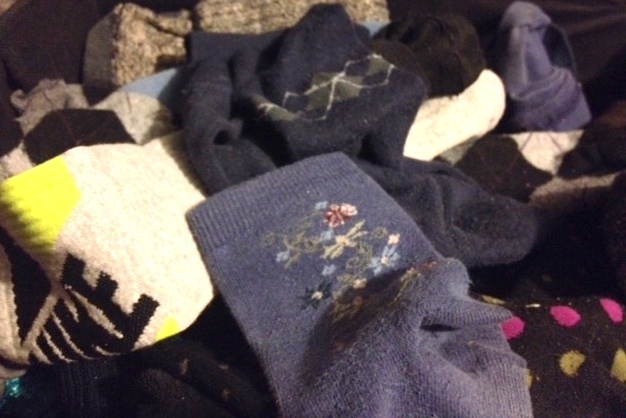 The more socks in a pile, the more difficult to find a pair. So it is with forgiveness. The more offenses, the more difficult it is to deal with the hurts, because instead of seeing them one by one, they are in a broad mix of so many that all that is seen is the offense, and it’s difficult to just let it all go. The Bible says it like this, “Be angry and do not sin; do not let the sun go down on your anger, and give no opportunity to the devil.” Ephesians 4:26. Holding unforgiveness in our heart is like letting things pile up in our spirit that end up being a lot more complicated than they ever should have been. And a lot heavier. Short accounts are a good thing. With money, with relationships, and with socks. Keep the socks paired friend. And keep the offenses matched up with forgiveness. Your load (forgive the pun) will be a lot lighter! Endurance in work and in relationships is a good thing, but suffering when things could be so much easier isn’t always necessary for sure. Just a few thoughts that came to me as I paired socks (for a very long 2 hour session!) on my living room floor. Yes. My goal is definitely to pair things more quickly…with socks, and with offenses.